Jerrod Waller and Arlo Nugent are highly regarded Realtors who have committed to becoming the top Realtors of Santa Fe Hills, San Marcos. 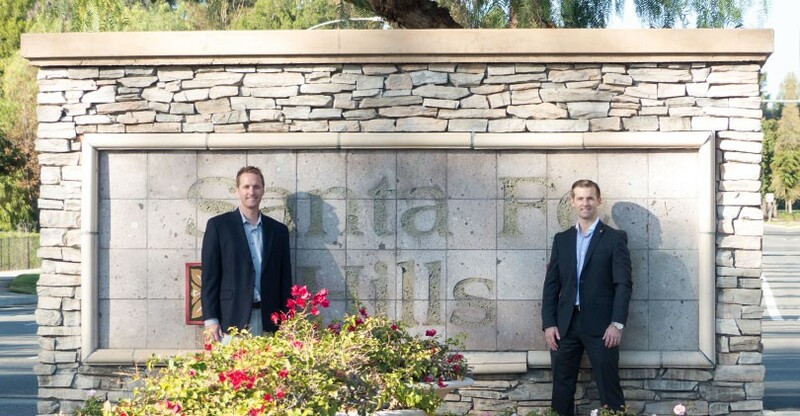 For help buying or selling your home in Santa Fe Hills, contact both Jerrod and Arlo at realestate@santafehillssanmarcos.com or (760) 593-7782. 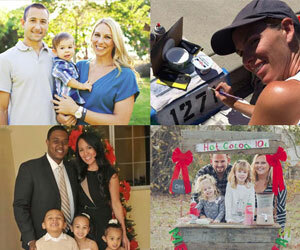 Jerrod Waller has enjoyed living in North San Diego County for the past 27 years. He studied at San Diego State University and holds a Bachelor’s Degree in Economics. He joined Hogue and Belong Realty® in 2007 to work aside his Brokers’ Jeffrey Hogue and Tyler Belong who are real estate attorneys. He has 11 years of residential and commercial real estate experience, and has been recognized as one of the San Diego Magazine’s Five Star Real Estate Agents for the past three years. An accolade issued to only the top 7% of all realtors in San Diego County. Before joining Hogue and Belong Realty®, Mr. Waller acquired residential loan experience with Wells Fargo and Union Fidelity Mortgage, during which time he ranked within the top 10% in loan volume from 2003-2007. Mr. Waller utilizes his real estate and loan experience in advising clients regarding all aspects of their real estate transactions. He combines time-tested marketing techniques with creative newer sales approaches to achieve quick sales at top-dollar for his clients. Contact Jerrod at JerrodWaller@SantaFeHillsSanMarcos.com or call (760) 593-7782. Arlo Nugent is the Broker and Owner of Blue Chip Realty Group. Arlo spent four years of his career working side-by-side with two Real Estate Attorneys before opening his own brokerage. Arlo has a Bachelor’s Degree in International Business and studied Marketing in England. In addition to his undergraduate studies, Arlo attended the Graduate Realtor Institute where he completed 96 classroom hours of Real Estate Laws, Contracts, Valuations, Ethics, and Real Estate Finance. Arlo has also been voted San Diego Magazine’s Five Star Real Estate Agent for four years in a row (2010-2013), earned a VA Pro Designation in 2012, and is a Member of the National Association of Realtors, San Diego Association of Realtors, Coronado Real Estate Association, Los Angeles MLS, CRMLS, and a member of the Lion’s Club International – Downtown Chapter. Blue Chip Realty Group was founded on the principle that price is what you pay, but value is what you get. Each of our agents understands that buying or selling a home is more than just a transaction to our clientele. Blue Chip Realty Group’s agents are highly regarded within the community for their meticulous knowledge of real estate contracts, unrivaled knowledge of the San Diego market, and creative marketing acumen. We know that access to the best and most timely information can dramatically shape decisions and we pride ourselves on being your trusted resource that can help you navigate the complex process that real estate has become. Contact Arlo at ArloNugent@SantaFeHillsSanMarcos.com or call (760) 593-7782.